The Sheldon FFA is hosting their annual greenhouse plant sale it will run until the plants are gone! 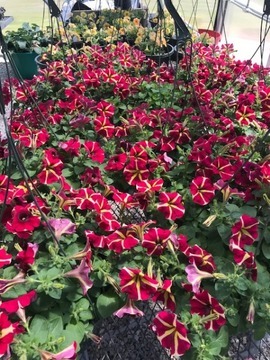 We have hanging petunia baskets, geranium baskets, wandering jew starts, coleus pots, marigolds, succulents, and an assortment of vegetables and herbs. Come check it out! Miss Compton will be here until 4:00pm Tuesday-Thursday. Congratulations to our GVVC Conference Spelling Bee winners! The students competed on Tuesday, March 5th at Montrose for the Conference Spelling Bee. 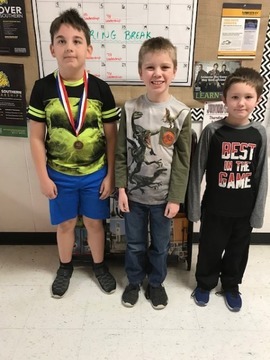 1st Grader Shawn Danner placed 3rd, 3rd Grader Bentley Snowden placed 1st, and Thor Miller placed 1st in the final round competitions. Congratulations boys! 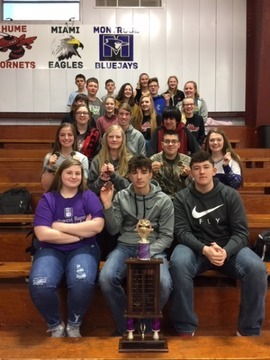 Sheldon results from the GVVC Conference Math Relays on Wednesday, March 6 th , 2019 at NEVC. Students who competed: 7th Grade Jayden Gust Aiden Ellifrits Kinder . . . Article with pictures attached here: Student 360 Mobile.docx If you don't have an account and would like one, or if you are having trouble signing on to your account, please call the office at 417-884-5111. Tyler SIS Student 360 Mobile Overview Tyler SIS Student 360 Mobile is a mobile phone app version of the Tyler SIS Student 360 Parent Portal available on both iOS and Android. It can be . . . SCHOLARSHIP NAME CRITERIA DEADLINE Zip Recruiter ZipRecruiter is offering a $3,000 scholarship to the winning college or university student with the most creative entry in their Scholarship Promotion. At the conclusion of the specific Entry Period for each biannually Promotion, you must (i) be a legal resident of one of the . . .
“Selfies” (self-portraits) were the assignments for these grades. 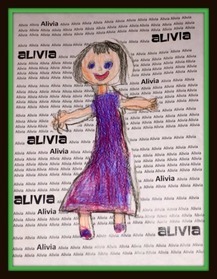 Art can be a ton of fun for a student of this age. However, simply trying to draw a line can be overwhelming, so we began the year with putting pencil and crayon to the paper. For the older end of the group, we’ve begun talking about adding things like ears and feet. We’ve also begun looking at moving away from stick figures and trying to draw a body. I think for their very first art class assignment, they’ve done a remarkable job! The purpose of the Sheldon R-VIII school district is to provide an educational environment which recognizes each student as a unique individual. This environment will foster and accelerate their intellectual, physical, social, and career development while encouraging each student to give his or her best efforts to their daily responsibilities. Through the encouragement and support of everyone in our community we will build a firm foundation for our educational program.